under 'What would you like to do next?' in your SHOPPING CART. Do you need more than one of the same Set? 20% discount when you buy 5 or more! Choose a quantity for your item, tick its checkbox, repeat for each different item, then finally click 'BULK ADD ALL YOUR SELECTIONS TO CART'. 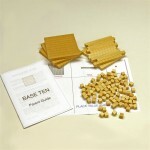 The HomePack is the perfect combination of pieces for your child to explore Addition, Subtraction, M.. 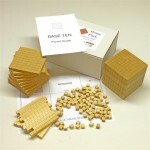 This great little set is an excellent starter for your Base Ten maths experience. With Flats, Lon..